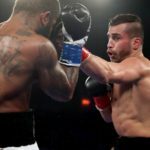 In a match up that was guaranteed to end in a knock out, David Lemieux (37-3, 33 KOs) lived up to his promise of taking out Curtis “The Cerebral Assassin” Stevens (29-6, 21 KOs) in a jaw-dropping third round stoppage from Turning Stone Resort Casino and televised on HBO Boxing After Dark. 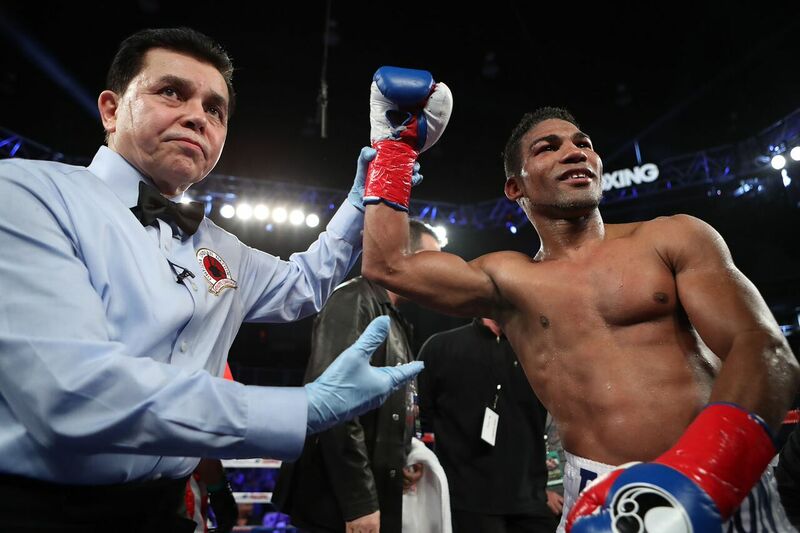 In his highly anticipated return to the ring, Cuban stand out Yuriorkis “El Ciclón de Guantánamo” Gamboa (26-1, 17 KOs) secured a unanimous decision win over Nicaragua’s Rene “Gemelo” Alvarado (24-8, 16 KOs) as the televised co-main event. 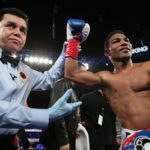 Gamboa demonstrated his power and resilience in his return to the ring, with the judges scoring the bout 97-92, 97-92, and 97-93. 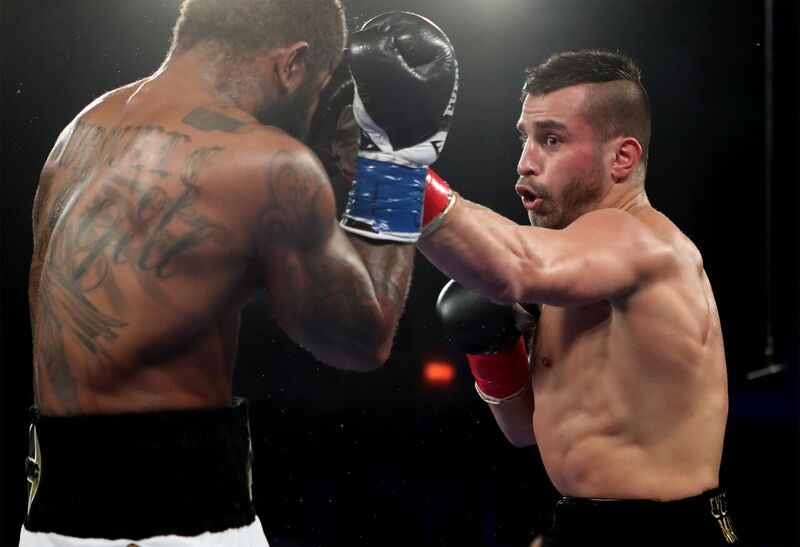 A part of the international broadcast, Zachary “Zungry” Ochoa (16-1, 7 KOs) suffered his first career loss against the mighty Yves Ulysse (13-0, 9 KOs) for the vacant Junior NABF Super Lightweight title. Yves turned up the heat during the fourth round, showing off his reach and powerful left arm and right hook combinations that left bruises under Ochoa’s right eye. 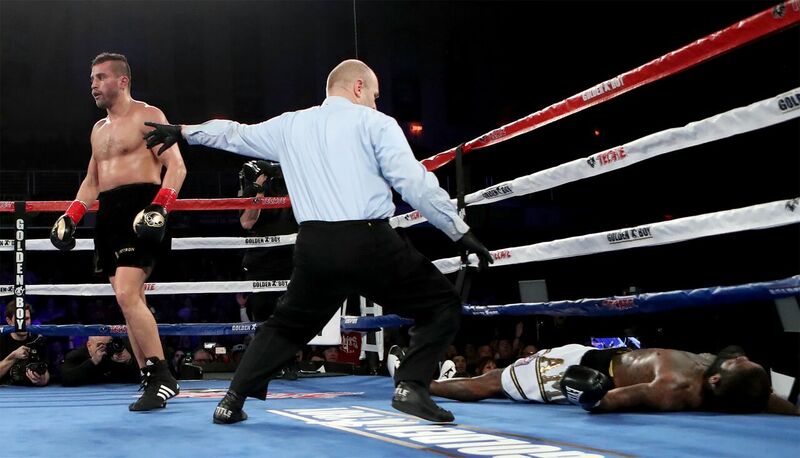 The fire was completely unleashed during the seventh round, and Ulysse cornered Ochoa landing powerful straight right arm punches. 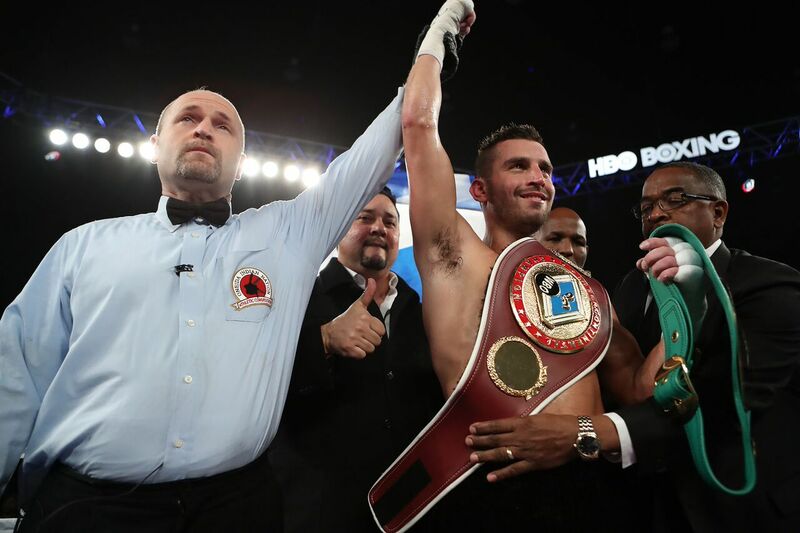 Ochoa’s corner waved the white towel before the eight round could begin, awarding the technical knock out and NABF belt to Ulysse. 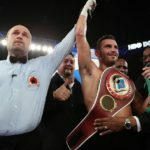 Also on the undercard, Diego De La Hoya (17-0, 9 KOs) faced off against the tough Roberto “Escorpión” Pucheta (10-10-1, 6 KOs) for an eight round bout that went the distance. In another knock out performance of the night, D’Mitrius Ballard (16-0, 12 KOs) knocked out Zoltan Sera (26-12, 17 KOs) during the fourth round. During the third, Sera lost a point for lifting Ballard by the calves in attempt to block his punches. 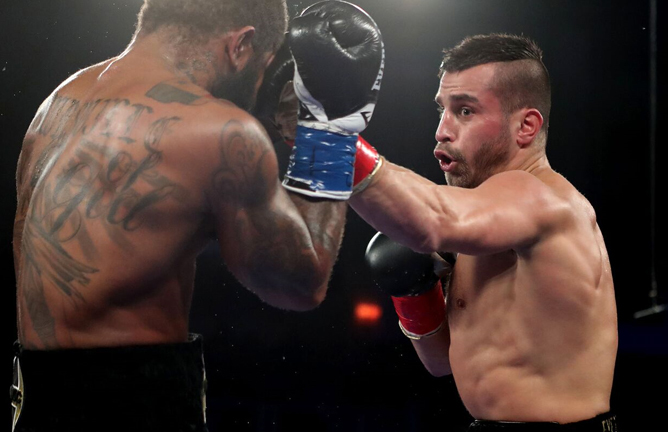 Making his pro-debut, Alex Rincon (1-0, 1 KO) of Carrollton, TX made an exceptional first impression to the boxing world in a second round knock out of Ardmore, Okla.’s Shaun “Buddy Hollie” Lee Henson (2-4, 2 KOs). 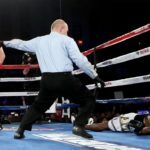 Highly touted Philly prospect Damon “No Smilin'” Allen, Jr. (11-0-1, 5 KOs) defeated Budapest, Hungary’s Adam “Bad Boy” Mate (24-11, 17 KOs) in a second round knock out. Kick starting the action packed night, Philly’s Todd “2Gunz” Unthank-May (11-0, 4 KOs) improved his record taking on southpaw fighter Quinton Rankin (12-4-1, 9 KOs) of Charlotte, NC for an eight round light heavyweight fight. The fight went the distance, but Unthank-May took home the unanimous decision win.